Persons who have undergone joint replacement surgery are at risk for developing infections of their implanted joints. In severe cases of infection, a person may experience the loss of bone support to the implant and require surgery to repair it. It is for this reason that doctors make every effort to counsel their patients on ways to avoid infection. It is a serious problem affecting between one percent and four percent of joint recipients over the course of a lifetime. The most common route of a bacterial infection into the body is through broken skin. While normal tissue can typically defend itself against the invading bacteria, the inorganic materials of a prosthesis cannot. It is there that an infection can seed and cause damage to surrounding bone and tissue. Another possible route involves oral infections and certain types of dental work. During a dental procedure (or any invasive medical procedure, for that matter), bacteria can often enter the bloodstream if the tissue is broken. With little immune protection, any infection of a knee replacement and hip replacement can quickly turn serious, increasing the risk of complications and disability. To avoid this, doctors will often recommend a course of antibiotics before any invasive procedure. In this way, the natural bacteria on the skin or in the mouth will be dramatically suppressed. While this would certainly be recommended in advance of major surgery, persons undergoing certain dental procedures may also be reasonable candidates. There is often confusion (and not only among patients but doctors, as well) as to who should receive antibiotics before dental work. In the past, antibiotics were commonly administered for all dental procedures for the first two years following an implant surgery. That recommendation was then extended in 2009 from two years to a lifetime. 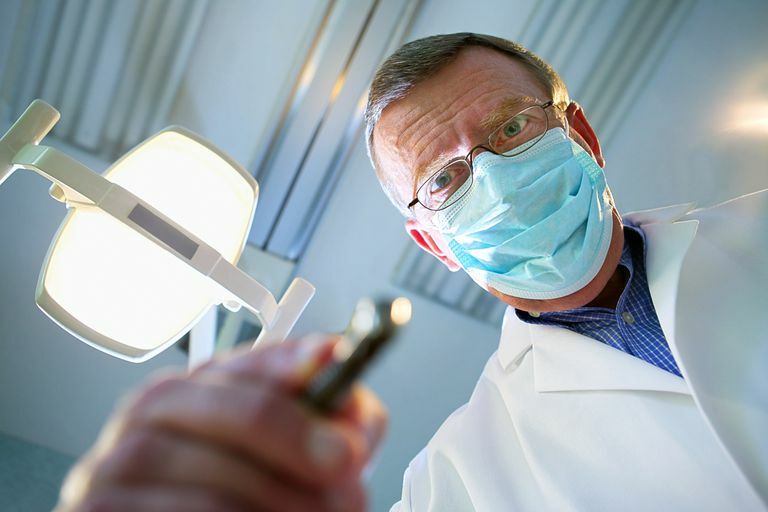 It was only three years later, in 2012, that the American Academy of Orthopedic Surgeons (AAOS) and the American Dental Association (ADA) had a complete turnaround in policy. In their revised guidelines, the two organizations jointly stated that antibiotics should not be considered mandatory for persons undergoing routine dental work. In defending the decision, both the AAOS and ADA stated that there was no evidence to suggest that the routine administration of antibiotics reduced the risk of joint implant infection. Similarly, the governing bodies were unable to endorse the use of oral antimicrobials prior dental work and only reached consensus in recommending "healthy oral hygiene" as a means of ample protection. This is not to suggest that antibiotics should be avoided or that there aren’t circumstances (such as major extractions) for which antibiotics may be appropriate. When antibiotics are recommended, doctors will typically prescribe oral amoxicillin to be taken one hour before the dental work. If you cannot tolerate oral antibiotics, your doctor may recommend cefazolin or ampicillin which are injected within an hour of the procedure. If you are allergic to these drugs, clindamycin (either oral or injected) may be used. Hamedani, S. "A Clinical Practice Update on the Latest AAOS/ADA Guideline (December 2012) on Prevention of Orthopaedic Implant Infection in Dental Patients." Journal of Dentistry. 2013; 14(1):49-52.